Service Costs > How Much Does Mice Extermination Cost? 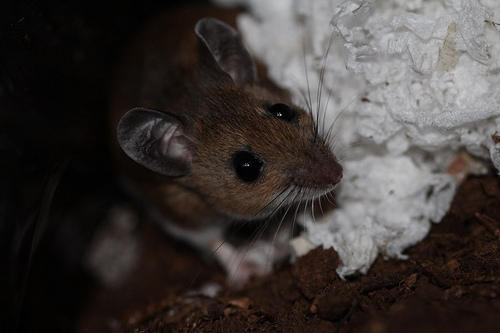 Mice are a rather common pest that can be found in many homes. While some homes may only have one or two mice to worry about, others can potentially have an infestation. Since mouse traps can only do so much, there are times when you may have to call in professional extermination services. A mouse infestation can be frustrating, and if you have tried all of the conventional methods, an exterminator may be your last option. The cost of a mice extermination service will depend on the company performing the procedure, the number of mice, the extent of the infestation and the size of the house. Before an exterminator even sets a trap, they will first want to analyze the situation to determine the damage that has been done and the number of mice that are present inside the home. This initial consultation/exam, without any traps being set, can cost $90 to $250. After this, many professionals may want you to sign a contract for continued treatment for the next six to 12 months. This contract should include the traps, sealing the points of entry, cleaning up any mess made by the mice and continued treatment to prevent the mice from coming back inside your home. Depending on the size of the property and infestation, our research indicates the costs can be between $350 to as much as $2,100. Some households may only need a few traps to get rid of a few mice, while some homes may have a large infestation that requires multiple traps, hole caulking, and more work than average. Orkin, for example, has been said to charge more than $500 for a six-month contract. Terminix, on the other hand, according to our research, has said to be around $250 per visit for a one-time treatment session. Before an exterminator treats your home, they will first want to assess the situation to identify the points of entries and conditions. After the inspection has been performed, they will then recommend measures to keep the mice out and what they can do for your home. This will often include a simple bait and trap, but the trap, whether it’s a glue, snap, electrocution or live trap, will depend on the company’s policy. Once they confirm the mice infestation is gone, then all repairs will be made if included in the price. Depending on the situation, this may involve many follow-up visits. If there is any damage done because of the mice, additional fees can be applied on top of the extermination. Keep in mind most services will not fix things such as chewed wires, but some can fix smaller issues such as holes in the drywall. Repairing chewed wires can easily get into the hundreds of dollars. Most exterminators will want to schedule a follow-up visit to make sure the mice problem has gone away, and many professionals will often push you to sign an annual contract so that they can come out once a year to prevent the mice from coming back. If you do sign a contract, be sure to read it carefully to know what you’re getting yourself into. Quarterly or annual visits can often cost $90 to $400, depending on what needs to be done. The number of follow-up visits will depend on if the mice came back and if traps need to be reset. The most common time for mice to enter a home is during the winter months so that they can get out of the colder weather. The insulation in most homes can provide adequate warmth. It’s important to know mice can enter your home as long as the point of entry is larger than a quarter of an inch. Common locations mice often enter will include foundation cracks, water pipes, loose vents or even doors. Peppermint spray and/or plants have been known to deter mice if placed around your property. You can also place mothballs in areas where you think mice may be present since they hate the smell. The same can be said about cat urine. If there’s a contract, pay very close attention to the details. What’s included? How many months will they come out to your property? Is there a guarantee? What kind of basic repairs will the exterminator perform? Will they fill holes with caulk? What about larger-than-average holes within the walls? Also, see if they offer a written report. This report should pinpoint the high trafficked areas, the points of entry and recommendations for you to consider in the future. If you feel you have a large infestation, it is best to get the problem resolved as soon as you can. Mice are known to ruin furniture pieces, eat food, and even cause electrical fires because they tend to bite through the wires as they infest your home. Try purchasing some mouse traps and laying them around your home. There are many great traps that are less than $20 such as a live, snap, jaw or glue trap. If you continuously catch mice after laying the traps throughout your home, you should consider hiring an exterminator. Try to avoid major companies as they tend to charge a lot compared to local contractors. Consider using HomeAdvisor.com to get multiple quotes for free from local, licensed exterminators in your area. It’s best to get as many quotes as possible.